Achy and swollen knees. Stiff fingers. Reduced, difficult flexibility. These could all be signs and symptoms of arthritis, a joint disease. In fact, arthritis affects one out of every five adults living in the U.S. One in three adults report that arthritis limits their ability to work. If current trends continue, an estimated 67 million people will have arthritis within the next 20 years. Of the more than 100 types of arthritis, the two most common are osteoarthritis and rheumatoid arthritis. 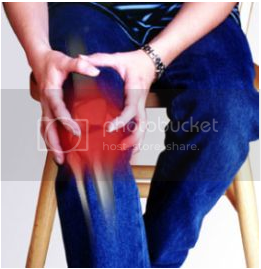 Osteoarthritis, also known as degenerative joint disease, usually comes with age. Cartilage (the cushioning material between joints) breaks down, leading to joint pain and stiffness. Most affected joints are those in our fingers, knees, spine, and hips. It also can occur after an injury to a joint as in a young soccer player who injures a knee could develop arthritis down the road, some 10 to 15 years later. ► can cause joint deformity, pain, swelling, and redness. Although the exact cause is unknown, the Centers for Disease Control and Prevention suggests a faulty immune response may be involved. There’s plenty you can do now to prevent arthritis, protect your joints, or improve your symptoms if you already have arthritis. Talk to your doctor to determine the best course of action. If you’re overweight, weight loss should be your next step! Losing as few as 11 pounds can reduce the risk of getting osteoarthritis by 50%. Being more active sounds counterintuitive, but moving more can actually keep your joint movement better, help with weight control, and maintain muscle strength. Also, do exercise for muscle strength. ► Red wine and dark chocolate. Lastly, try natural alternatives. Studies show that long-term use of glucosamine helps maintain healthy cartilage and may even reduce the need for knee-replacement surgery in people with osteoarthritis. Results from a clinical study suggest the anti-inflammatory activity of Boswellia serrata extract reduces joint pain and stiffness, while fish oil supplements also have been shown to help fight inflammation. Previous PostPrevious What is normal blood pressure, high blood pressure hypertension? Next PostNext Dehydrating is a problem, especially in the summer.